Two families, living only miles apart in the Philadelphia area, both with dedicated fathers and both with young sons enjoying the summer before seventh grade. Both dads are middle-class professionals, married and college-educated. But when it comes to the issues of race, these fathers and sons live in different worlds. “Nightline” first spoke to Kaye and his son Aidan, and Jones and his son Solomon, Jr., in December 2014, during the widespread unrest after a white police officer shot and killed 18-year-old Michael Brown in Ferguson, Missouri, that August. A year and half has passed since then, and the boys have grown, but so have the country’s problems. What's The First Thing That Comes To Mind When You Hear the Word 'Cop'? 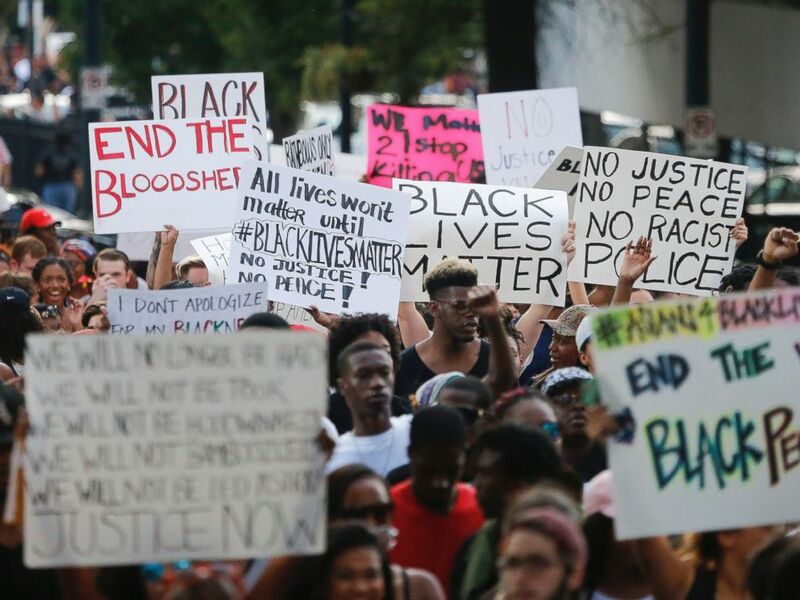 Demonstrators march through downtown Atlanta to protest the shootings of two black men by police officers, Friday, July 8, 2016. A renewed rallying cry for nationwide protests erupted last week after videos emerged showing the shooting deaths of Alton Sterling in Baton Rouge, Louisiana, and Philando Castile in Falcon Heights, Minnesota, at the hands of police, only to be followed by a sniper targeted officers in downtown Dallas during a peaceful protest for the controversial shootings. These events have created a fresh wound in the fierce debate over race, policing and the argument over whose lives matter. For parents like Kaye and Jones, weighing how much of this to expose their children to is very different. “It was, I guess, sad to think about, like, ‘What if that happened to my dad?,’ he said. Solomon Jr. is a serious child and a good student, but his father worries there could be a moment when that won’t matter. When asked about the word “hoodie,” Aidan and his dad thought of a sweatshirt he throws on sometimes. Solomon, Jr., said “hoodie” made him think of Trayvon Martin. The 2012 shooting death of 17-year-old Trayvon Martin turned the hoodie into the symbol of the danger of being a black teenage boy. 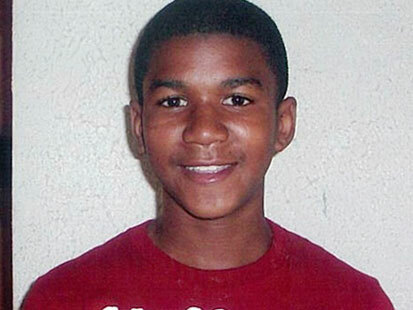 This undated family photo shows Trayvon Martin, who was slain in the town of Sanford, Fla., Feb. 26, 2012. It’s a fear that ABC News Senior Legal Correspondent and Analyst Sunny Hostin knows all too well. “Nightline” hosted a panel discussion, moderated by Hostin, with a diverse group of Americans: Rasheed Muwallif, an African-American Muslim police officer from Indianapolis, Andy Dwyer, a retired NYPD officer, Sgt. 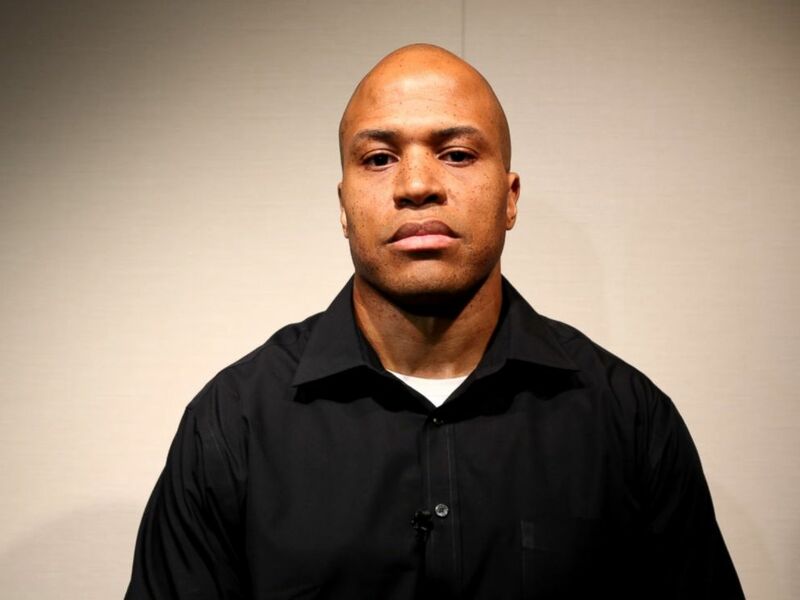 Joey Imperatrice, the founder of Blue Lives Matter NY, both white, Chelsie and Bedford Dort, an interracial couple from Salt Lake City, and outspoken African-American lawyer and author Lawrence Otis Graham. Graham, a father of three, has written numerous books on race and class. He maintains a strict dress code for his children when they go out in public. “We have all kinds of rules...particularly with our black boys,” he said. “You don't go out after night, you don't wear the hoodies. You don't wear sunglasses. You don't do anything that somebody can project their biases and stereotypes of what the dangerous black boy is supposed to look like." 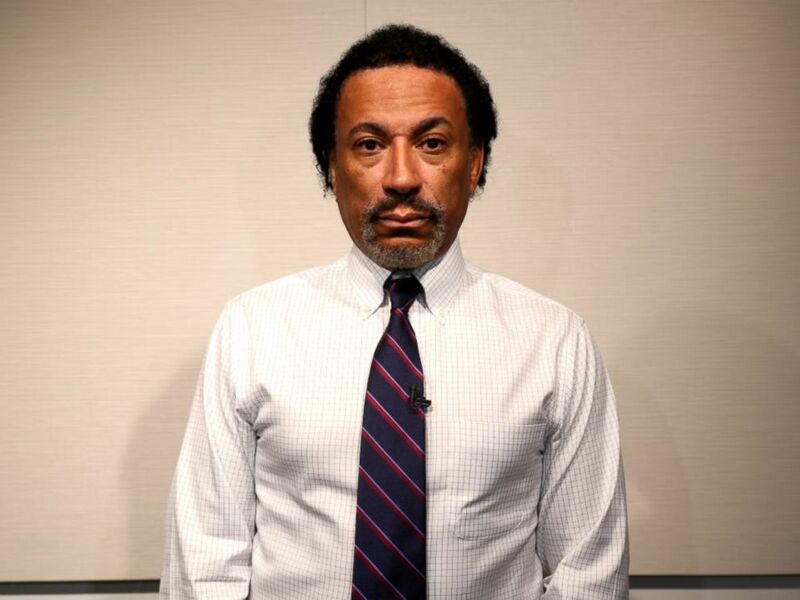 Lawrence Otis Graham is shown here during "Nightline's" discussion about racial issues. Graham also said he tells his children that if they see a police officer, to turn around and walk the other way, which retired Officer Andy Dwyer said wasn’t the best approach. Instead, Dwyer argued, friendly interaction between officers and residents is better to create more understanding. 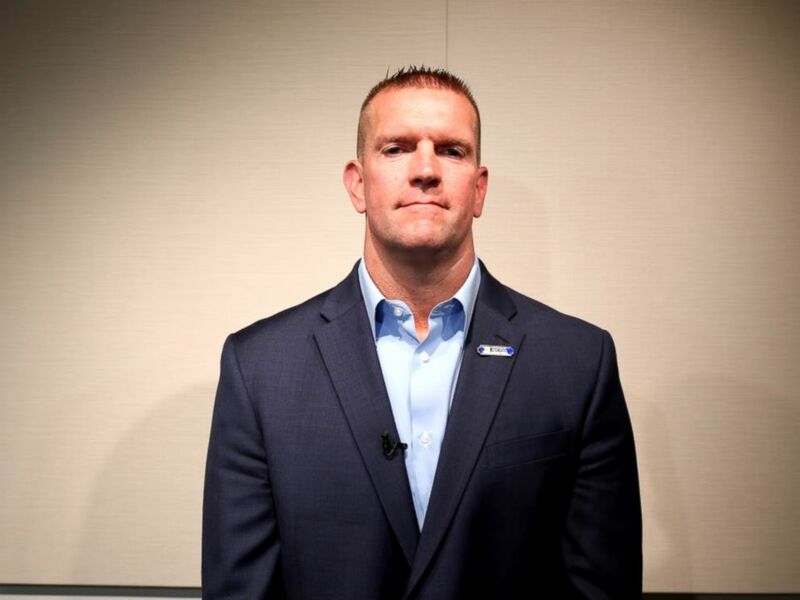 Dwyer is also a member Blue Lives Matter NY. His brother, also a cop, was 23 years old when he killed in the line of duty while chasing a robbery suspect. Retired NYPD officer Andy Dwyer is shown here during "Nightline's" discussion on racial issues. Sgt. 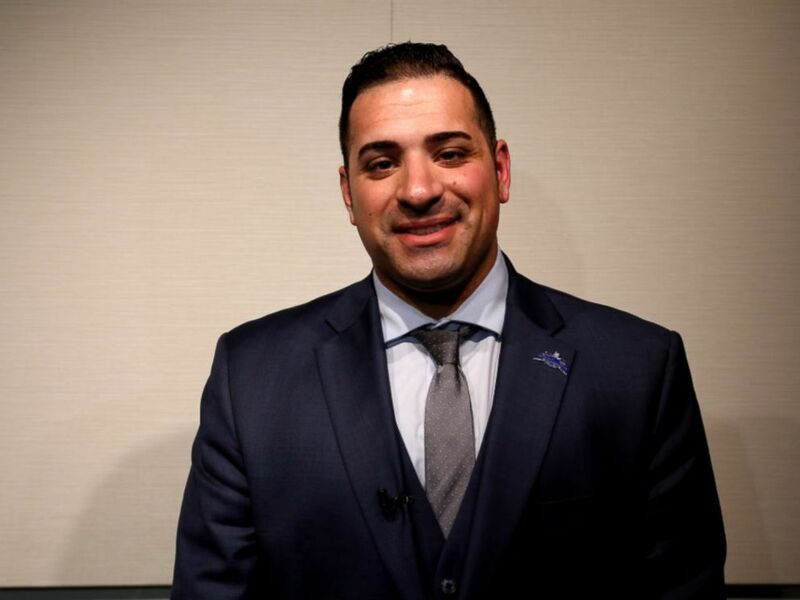 Joey Imperatrice, the founder of Blue Lives Matter NY, is shown here during "Nightline's" discussion on racial issues. One of the major flashpoints in the recent national dialogue has centered on the rallying cry of “Black Lives Matter.” Some critics feel the term is inherently divisive, preferring to say “All Lives Matter” instead. “He is ignoring the fact that these are communities where people feel that they have been beaten up, or they've been shot and unnecessarily,” Graham said. Chelsie and Bedford Dort have been married for two years. Chelsie is white, Bedford is African-American. They have a mixed-race child together and Chelsie has a 5-year-old white child from her previous relationship. She said her eyes were opened to the differences her children may face while she and Bedford were still dating. She recalled times when they would be driving and Bedford would see a cop pull up behind them and he would tell her to take a different road. “For a long time there was times that I was like, ‘You are being paranoid,’” she said. 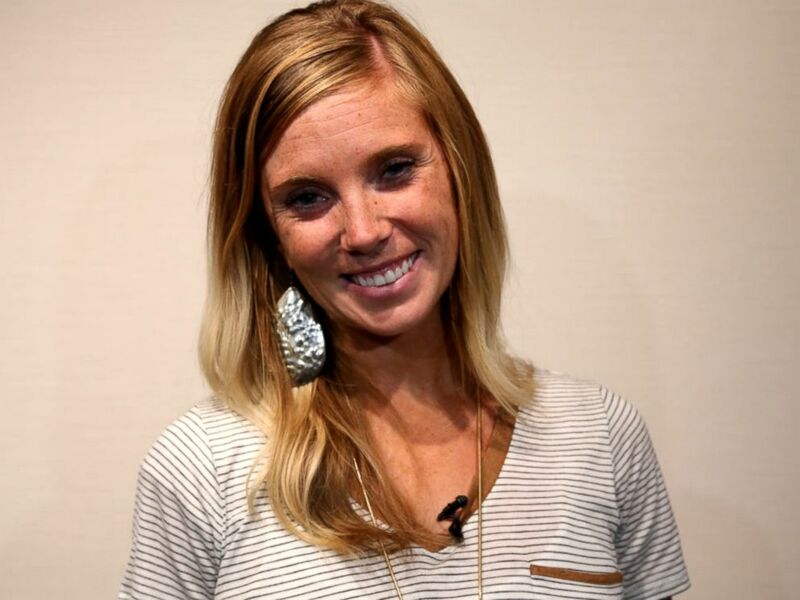 Chelsie Dort is shown here during "Nightline's" discussion about racial issues. Bedford Dort is shown here during "Nightline's" discussion about racial issues. But then Chelsie said she got a call one day from Bedford while they were dating, telling her he had been picked up by police for having expired car tags. When she pulled into the police station to get him, Chelsie said she saw six police officers standing around Bedford’s car with their cruiser lights on. As an African-American Muslim police officer, Rasheed Muwallif said he understands the issue from both sides. 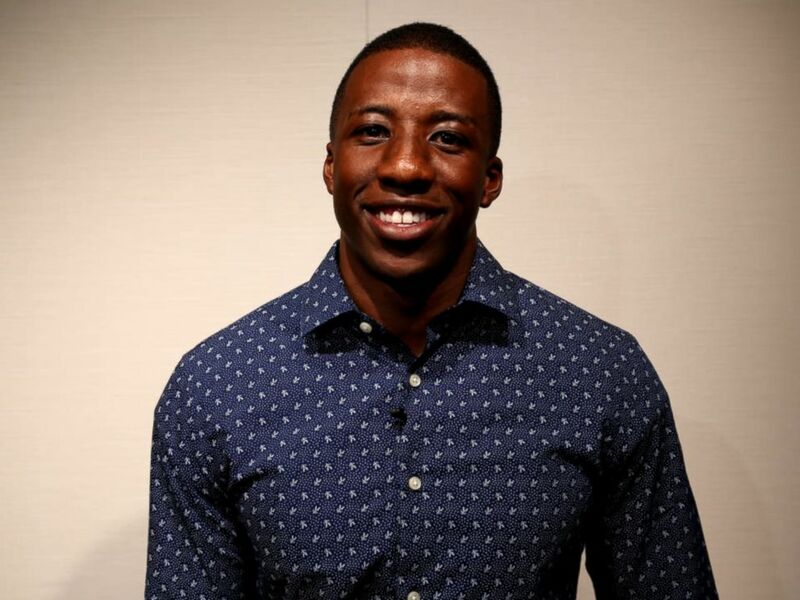 Rasheed Muwallif, an African-American Muslim police officer from Indianapolis, is shown here during "Nightline's" discussion on racial issues. It’s conversations like these that bridge gaps and can change the way people see each other. As far as creating actual change in our society, Daniel Kaye and Solomon Jones both hope it happens, if not in their lifetimes, than in their sons’. Kaye has a second children’s book coming out in September called, "Never Take a Hermit Crab for Granted," and said he would donate the proceeds to two Philadelphia groups that bring the police and undeserved populations together. “I have great hope in their generation to be the one to look at it and say, 'alright, this doesn’t even make any sense,'” he said.